OPEN HOUSE: SATURDAY, APRIL 6 • 10 AM-12 PM. This summer, children ages 3 ½–16 are invited to join us for dynamic experiences in the tradition of The Park School of Baltimore. Park’s unique approach to learning and growing flourishes amid the beauty and wonder of our wooded 100-acre campus. Find the camp that's right for your child! 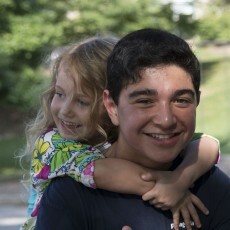 Welcome to PARK CAMPS SUMMER 2019! REGISTER NOW! 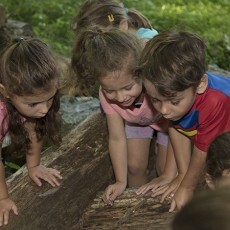 Sessions for 2019 begin June 17 offering special one- and two-week Activity Camps such as Sports and Games, Minecraft, Nature and Tinkering, and Park Leadership Development camps. Park’s day camps — Cubs, Bears, and Bruins — and STEAM Focus and Gaming Programs complete the summer experience from June 24 to August 2. We look forward to welcoming you to Park Camps! Before and After Camp Care is available on all camp days for an additional fee. Before Camp Care is available at $10 per day from 7:30–8:30 a.m. After Camp Care is available from 4–6 p.m. for $15 per day. 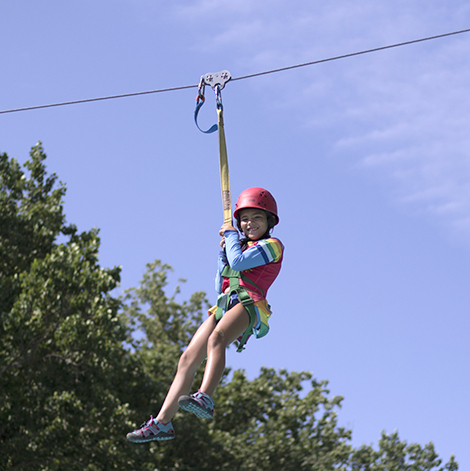 Children can be dropped off between 7:30–8:10 a.m. and picked up between 4–6 p.m. Campers will engage in a variety of activities including sports, games, and crafts, both indoors and outside. *Note: After Camp Care is not available on August 2, the last day of camp. 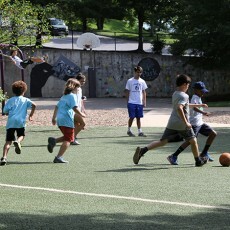 Park offers limited bus transportation to and from community stops in Downtown Baltimore at no additional charge for Park Day Camps (Cubs, Bears, and Bruins), and STEAM Focus and Gaming campers only. Community stops are subject to change, please contact the Camp Office at 410-339-4120 for the most up-to-date information. Fresh and nutritious lunches can be purchased daily in The Park School cafeteria from June 17–August 2. Lunches are planned and prepared by Park School’s food service staff. *Note: Snacks are not provided. 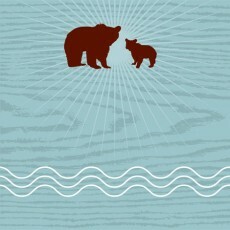 Registration and Early Bear Discount Begins! For campers registered before May 15. Registration continues while space is available. Camp fees are due at time of registration. Sessions begin for Sports and Games, Minecraft, Nature and Tinkering, and Park Leadership Development camps. 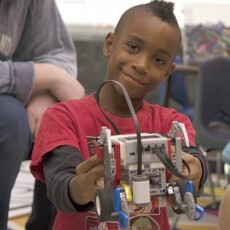 Day camps begin for Cubs, Bears, Bruins, and STEAM Focus and Gaming programs. Overnight campouts are a wonderful way to extend the summer camp experience, bond with friends in meaningful ways, and create lasting memories.